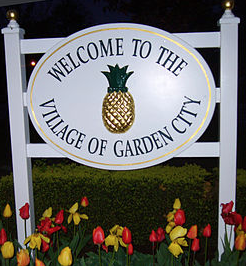 An incorporated village located in Long Island’s Nassau County in New York, Garden City is a part of the Town of Hempstead; however, a small part of it is located in the Town of North Hempstead. The village is home to the main campus of Adelphi University, one of the most prestigious schools of higher education on Long Island. It is also the place where Charles Lindbergh took flight in the Spirit of St Louis for his transatlantic flight in 1927. The airfield where Lindbergh took off is now the site of Roosevelt Field, one of the largest shopping malls on Long Island. It is also a raceway. Data from the 2010 census found that 22,371 people resided in Garden City. The population is varied, with people of all ages residing here; however, a large percentage of the residents of Garden City are of driving age. Due to the relatively close proximity to Manhattan (just over 30 miles), many of the people who live here and work commute to the city on a daily basis. Though there is mass transit available via the Long Island Railroad, which arrives at Jamaica, where riders can switch to take trains that travel to Manhattan’s Penn Station, many of the people who do commute to the city prefer to use their own transportation. Likewise, those who do not commute to the city or who do not work but drive rely on their own vehicles on a regular basis. Due to the large amount of commuters that reside in Garden City, coupled with the Roosevelt Field shopping center and raceway, as well as the main campus of Adelphi University, there is a large volume of traffic on the area roadways. As a result of this traffic, accidents do occur frequently; even if they are just minor fender benders. In order for drivers to keep themselves protected and meet the New York State requirements, they must carry auto insurance; the minimum amount for a policy is 25/50/10 coverage. As with anywhere else in the state of New York, the cost of auto insurance does vary from driver to driver in Garden City; however, on average, residents can expect to pay just over $1,200 for minimum coverage. On the high end, coverage can cost upwards of $1,500, and on the low end, it can cost just over $900 a year. You can save a good bit of money by comparison shopping. To find cheap auto insurance in Garden City, New York, please contact one of the trusted agents below, or enter your zip code above to get a free quote.